Da Capo Lifelong Books, 9780738220024, 288pp. 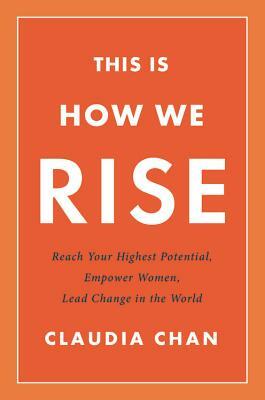 Claudia Chan is a recognized expert on leadership and social entrepreneurship and the founder and CEO of S.H.E. Globl Media, a corporate initiative that helps Fortune 1000 companies modernize and accelerate their diversity initiatives with the goal of achieving gender parity by 2030. In 2015, Claudia became an official U.S. State Department Speaker and has visited countries like South Korea for countrywide speaking tours to educate and empower women. Prior to launching S.H.E. Globl Media, Claudia was President and co-owner of the popular women's entertainment company Shecky's for ten years. Claudia is a lifelong New Yorker, proud alumna of Smith College, mom of two, and an equal partner with her husband, John.